Video: Alma Anaya tells voters about her platform. 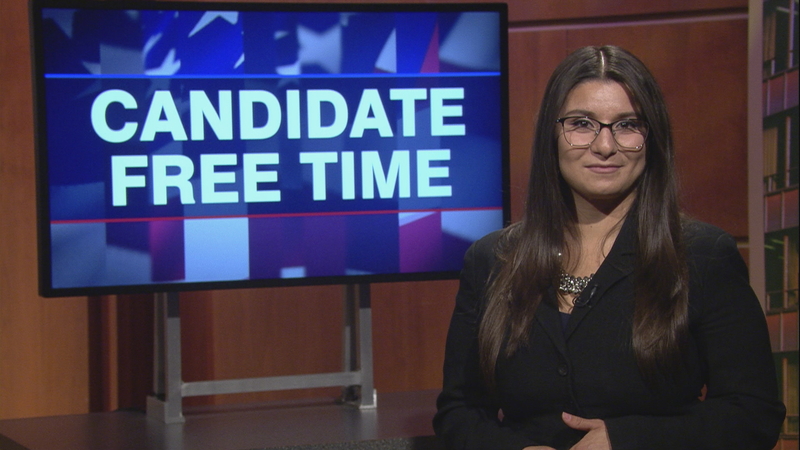 Learn more about Candidate Free Time. Hi, my name is Alma Anaya and I am the Democratic nominee for Cook County Commissioner of the 7th District. For the past seven years, I have worked side by side with Commissioner Chuy Garcia to improve the lives of the residents of Cook County. We expanded health care services, appealed property taxes and reduced the jail population. As Commissioner, I plan to continue this progressive legacy and fight for the working men and women of this district. I came to this country at the age of six from Mexico with my family and was undocumented for eleven years. We overcame homelessness and domestic violence. My mother raised us on the southside of Chicago and instilled in me the values of hard work and perseverance. I attended public schools and worked my way through my bachelor’s and master’s degrees from the University of Illinois-Chicago. Through my hard work, I earned the support of Chuy Garcia, Bernie Sanders, and thousands of residents of the 7th district. When elected, I will fight to fix the broken property tax system that unfairly makes our working families pay too much. I will introduce legislation to find alternatives for mass incarceration, which is costing us too much money and tearing apart our communities. I will ensure that Cook County protects the rights and safety of our Immigrant families. This election presents the voters of Cook County with an opportunity to elect a fearless, young leader to the Board of Commissioners. I am committed to making Cook County a healthy, accessible, safe and thriving place to live. Again, I am Alma Anaya and I am running to represent you on the Cook County Board. I ask for your vote on election day this November 6th. Thank you.